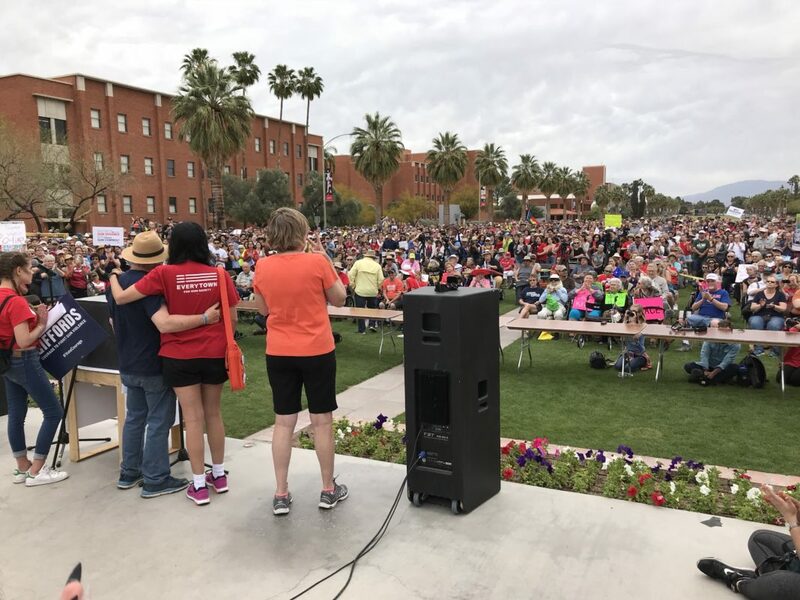 Thousands of Tucsonans participated in the March For Our Lives on Saturday, March 24. The march ended with a rally on the UA Mall. Many survivors of gun violence and friends and family of the lost gave touching testimonies. Several survivors from the January 8, 2011 Tucson Safeway shooting, when Congresswoman Gabby Giffords was wounded, spoke at the rally, including Congressman Ron Barber and Rep. Daniel Hernandez. Many other spoke of family and friends who had been shot. One young girl was nine when she lost her Mother to a gun shot. Several young UA women gave touching remarks about their friend and recent UA graduate who was shot at the Las Vegas concert. The saddest part was at the end when little Christina Taylor-Green’s friends, now 16, talked about her, while her Mom, Roxanna Green stood by. What tremendous losses this country has experienced. Below are videos of speeches by Barber and Herdandez.